What makes Poles laugh? 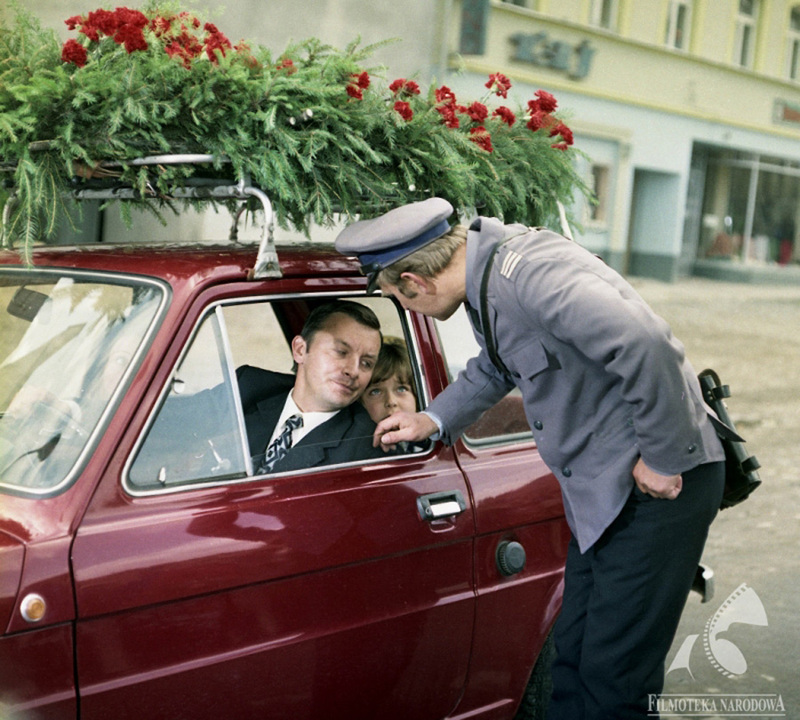 Looking at Poland's cult comedies, it's a merry mix of communist absurdities and national stereotypes. Tadeusz Chmielewski – why so serious? While filmmakers of the Polish School created shattering World War II dramas, Tadeusz Chmielewski brought a breath of fresh air into Polish cinema with his somewhat comic take on the sombre theme. In this respect, he followed in the footsteps of Andrzej Munk, but in comparison with the latter's Eroica, Chmielewski's films were lighter and not at all pretentious. His 1969 farce entitled How I Sparked Off World War II is one of the most popular Polish films to date, and his earlier Where Is the General? was also based on a humorous approach to the subject of war. In 1957, Chmielewski received the Golden Shell award of the San Sebastian film festival for his debut comedy entitled Ewa Wants to Sleep. In the film, he made numerous allusions to classics of French cinema such as Clair’s Under the Roofs of Paris and Tati’s Mr. Hulot’s Holiday. His best known works include Jack of Spades (1963), Baked Beans (original title: Pieczone gołąbki) (1966), I Don’t Like Mondays (1971) and Springtime, Sergeant (1974). 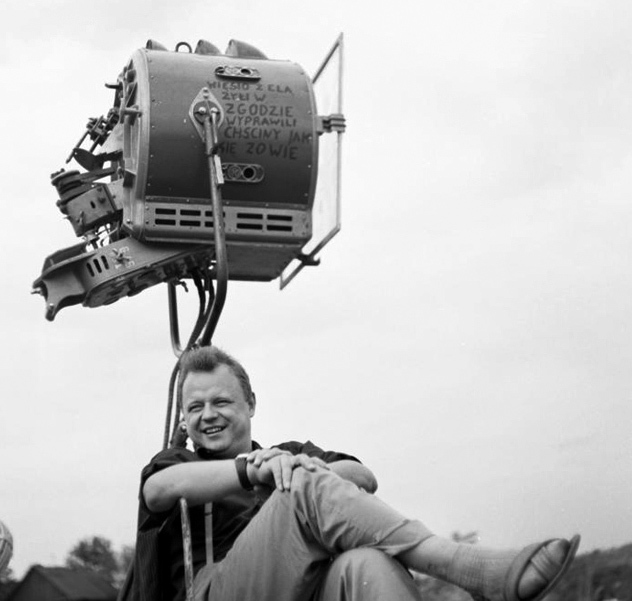 Another filmmaker that took the reality of post-war Poland with a grain of salt is Sylwester Chęciński. His series about the Kargul and Pawlak clans depicted conflicted neighbouring families, whose quarrels are set against the background of some of the most significant political and social transformations of the period. 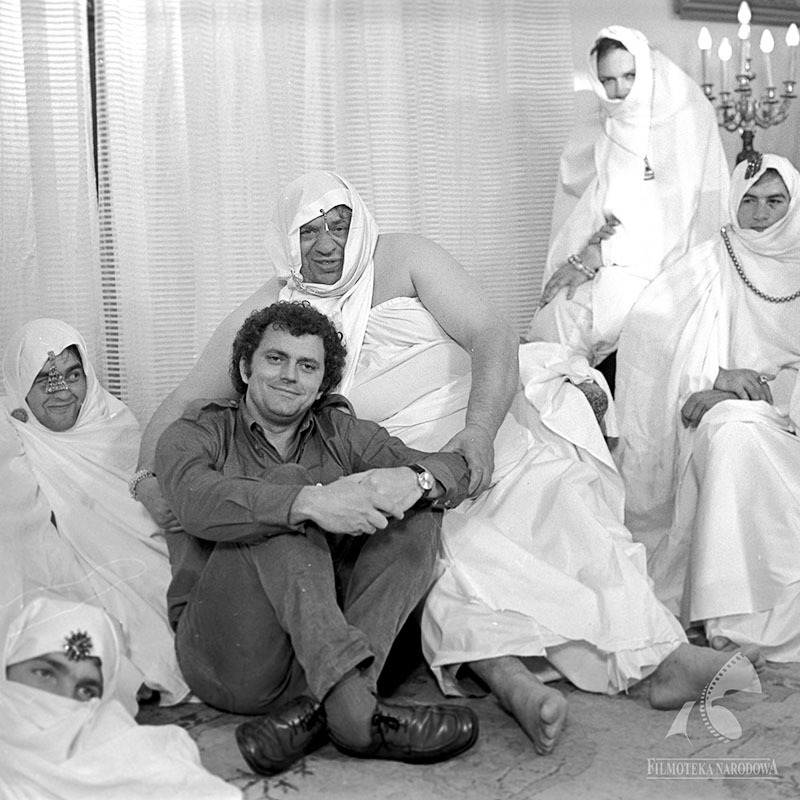 The series began in 1967 with a film entitled Sami Swoi (known in English as alternately All Friends Here or Our Folks). Featuring brilliant comic performances, the action of the film unravelled in Poland’s western territories, on the so-called reclaimed lands of pre-war Germany where Poles were resettled from the East. 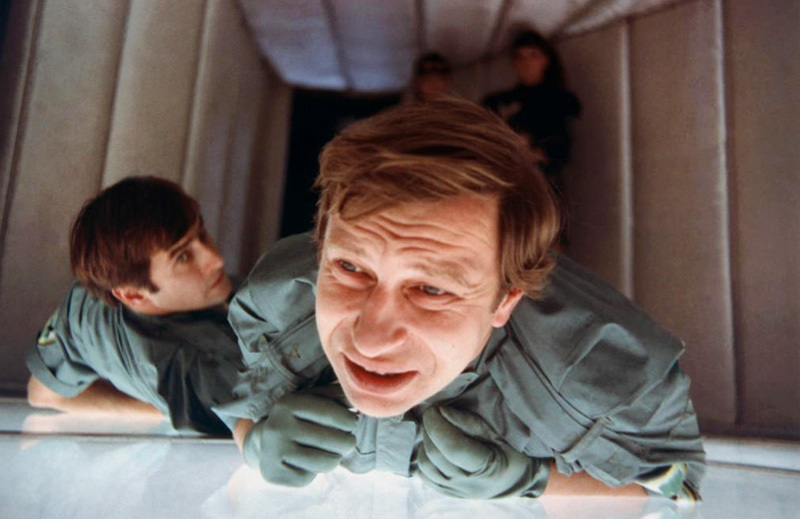 The adventures of Kargul and Pawlak would later find their continuation in Chęciński’s subsequent productions, Take It Easy (1974) and Love It or Leave It (1977). Each film spoke about a different chapter in the post-war history of Poland. Chęciński mocked the typical vices of Poles, but he did so with particular tenderness and good sense. This surely accounts for the long-lasting popularity of his films, which are still frequently aired on television today. While others engaged themselves with the so-called cinema of moral concern in order to depict the dilemmas of Poles under real socialism, Bareja mocked the reality that surrounded him. He pointed out the absurdities of life in Communist Poland, and jokes about the authorities and citizens alike. He basically portrayed a world standing on its head… Everyday situations carefully observed on the streets were a source of direct inspiration for this artist. Some of his greatest films include Man – Woman Wanted (1972), Brunet Will Call (1976), What Will You Do When You Catch Me (1978), and A Jungle Book of Regulations (1974). The most iconic of his comedies, however, is Teddy Bear (1980), which tells the absurd story of the boss of a sports club named Tęcza (Rainbow). The Cruise defies all categories present in Polish cinema. It is an on-screen cabaret – improvised and amazingly realistic to boot... Piwowski's gift of observation, his sense of humour and something else – an awareness of the nation-wide pathology so acute that it borders on cruelty – made him capable of employing such things for the sake of a truly valuable full-length show. Piwowski’s comic works aren't limited to just the one film. He is also the author of outstanding comic documentary films and his Uwertura (Overture), a documentary about a military committee of the era, is one of the most humorous and cruel portraits of the Polish People’s Republic. The title of the most extraordinary among Polish comedies has to be presented neither to Teddy Bear nor The Cruise, but rather to the 1967 television film called Hydro-puzzle. It is a blend of Mel Brook’s style and Monty Python, though it begins like Quantum of Solace… One fine day, during the hottest days of a Warsaw summer, water begins to disappear from the city. It isn’t a mere natural disaster, but the result of a plot devised by a wicked maharaja and a Dr. Plama (literally Dr. Stain). These two criminals are attempting to steal all the water from Poland. They are meant to be stopped by As (Ace), a Marvel-like communist superhero. The excellent dialogues, absurd situation-based humour, and witty jokes about the superhero figure all ensured that Hydrozagadka was a historic success. Even today, 45 years later, Kondratiuk has not lost any of its class. Comedies are a very graceful and dignified genre. It is much harder to make a man laugh than it is to make him cry or frighten him. The entire cinema of moral concern isn’t worth as much as one film by Bareja. As a 26-year-old, he made his debut with Vabank (1981) in which elements of Hitchcock-style suspense were blended with retro comedy. Two years later, Machulski shot one of the best Polish comedies to date, Sexmission, a futuristic vision of the world in 2044, when the League of Women rules across the entire world and two protagonists of the film are the last men left alive. Machulski has made more than twenty films to date, in the genres of action, comedy, and drama as well as historical films.